April 16, 2019 5:05 pm. 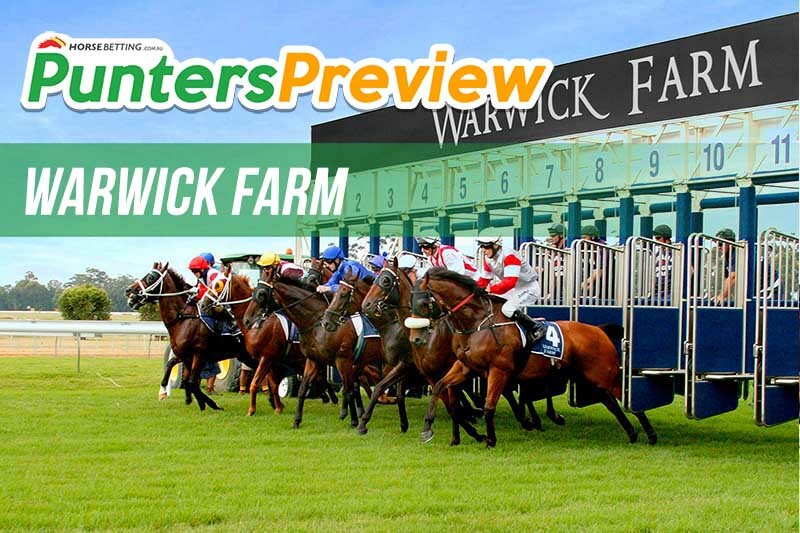 Warwick Farm is racing this Wednesday and our team at Horse Betting HQ has taken a look at the fields to deliver tips and our best bets across the entire afternoon. The Championships may be over but Horse Betting’s commitment to finding the best bets and winning dividends from around the country. Let’s take a look at the tips from Warwick Farm. One of the best bets of the day comes in the opening event as James McDonald pilots the resuming Zouologist for Chris Waller. He placed twice in his opening campaign, including an impressive third at Randick on November 6. The horse is drawn perfectly to break through at the third time of asking here and the trial form looks sound. Zouologist is the best bet of the day at Warwick Farm. Erno is looking to go back-to-back after a quality win at Wyong on March 30. The horse lead all the way in that race, dictating his own terms from the front. That day the Kim Waugh gelding drew barrier nine which tied the jockey’s hands somewhat, so from a better gate we’re expecting Blake Shinn to assess his options early and do what’s best for the gelding. Erno looks hard to beat in the second. The resuming Let Me Sleep On It looks to be a very good winning chance in the third event on the card. The filly comes into this race after placing twice on the trial track the horse comes into this event after a disappointing showing at Group 3 level down at Moonee Valley last year. This is a massive drop in class however and the trial form shows she’s in good nick. We’re backing Let Me Sleep On It with confidence. Lindsay Park runner Free Fly Too is looking to go back-to-back after an impressive victory at this track on March 27. The grade is slightly lower than the one he confronted on that day but incurs a 3kg penalty for the success. In a field where they are betting around $4 across 5-6 runners in the field the winning form counts for something heading into this event. Reeleem In Ruby is resuming and looks well placed to deliver first-up in this event. The Peter and Paul Snowden filly has a quality first-up record, winning and finishing second from two attempts. Reeleem In Ruby trailed nicely on March 29 and looks to be the best bet of race five.